OK, enough with the figs, you might be saying. The season is over. Well, that’s mostly true, but the way my brain is working these days, if I say to myself I’ll save this fig post for next year, I’m likely to forget, or to find it impossible to locate these photos among the thousands that are buried in my computer never, neverland. 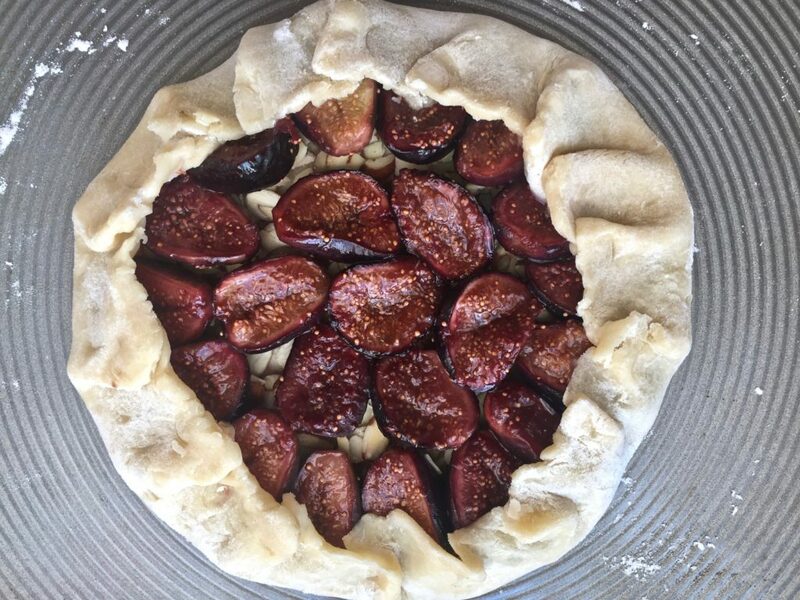 So here you have it – another fig recipe. 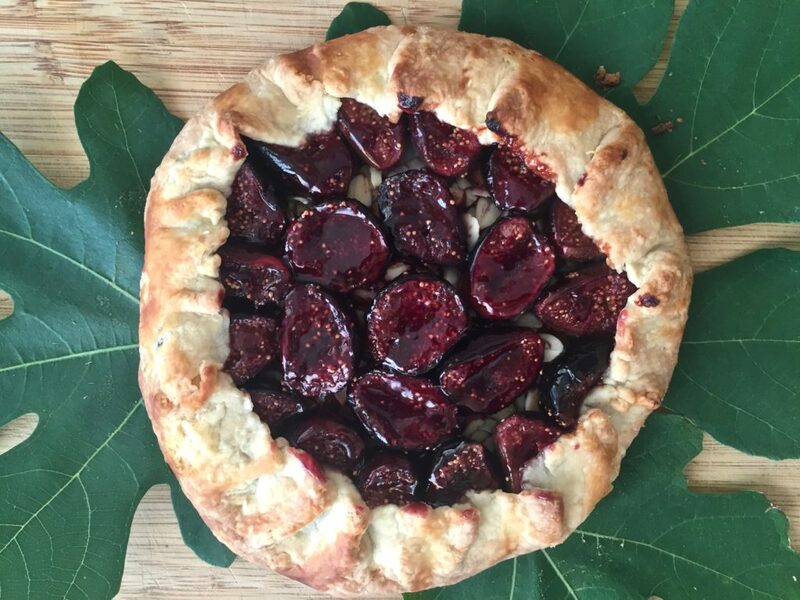 Tuck it away for next season if figs have disappeared from your markets or if your tree is finished producing for the year. 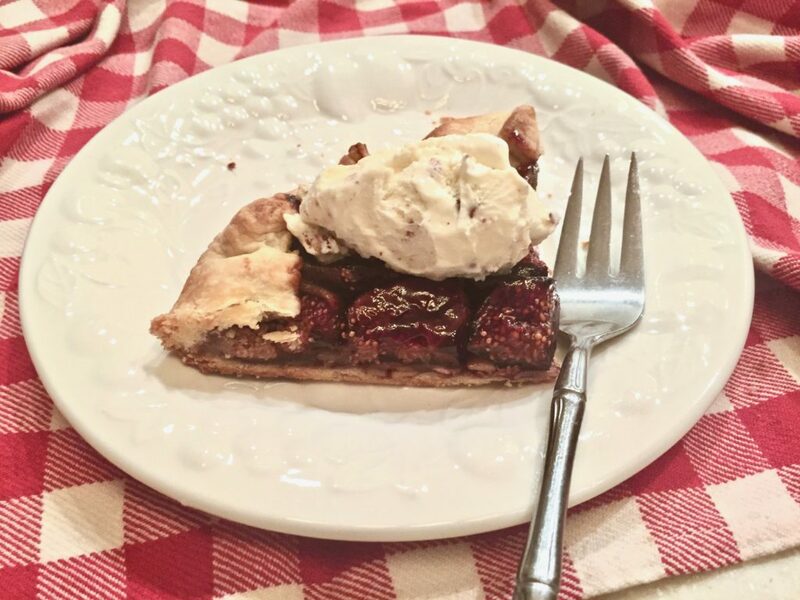 If you’ve got purple figs, the ice cream will take on a beautiful dark pink hue. 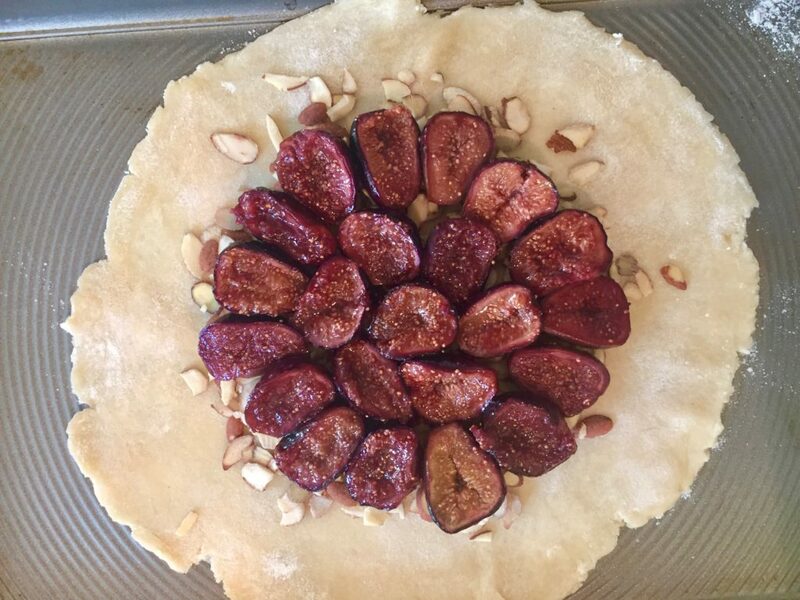 But I used up the last of my purple figs in a lemony- fig olive oil cake (click here for recipe). 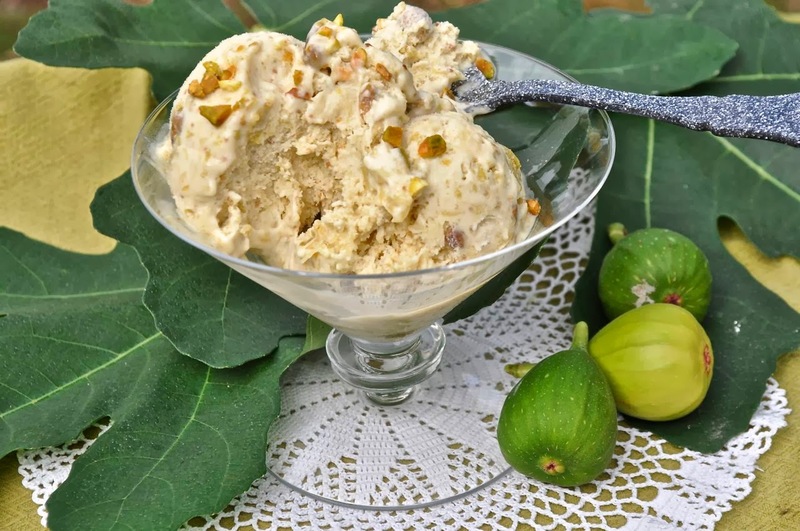 When some friends invited me to pick some figs from their tree, which happens to produce green figs, I wasn’t about to complain. Especially not when they were as juicy and flavorful as these. 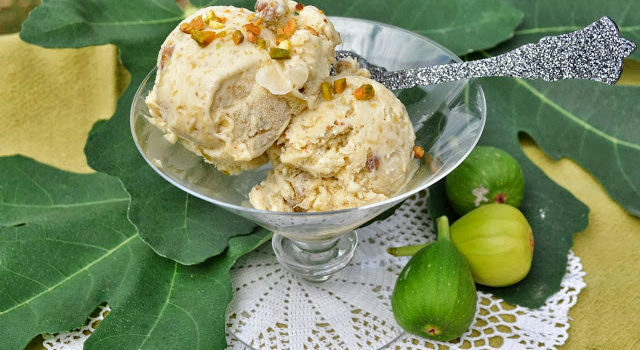 The recipe is adapted from one in David Lebovitz’ book, “The Perfect Scoop.” I changed it to add port wine instead of water, and threw in some pistachios too. The wine adds flavor and helps to keep it from hardening to a rock solid mass. Feel free to use another type of alcohol if you prefer – rum, grand marnier or whatever you fancy. 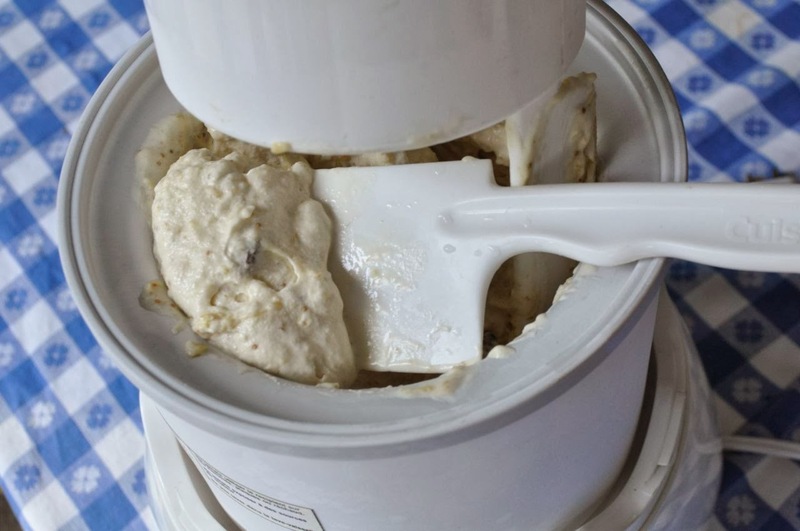 Place the mixture in an ice cream maker and process according to the manufacturer’s instructions. 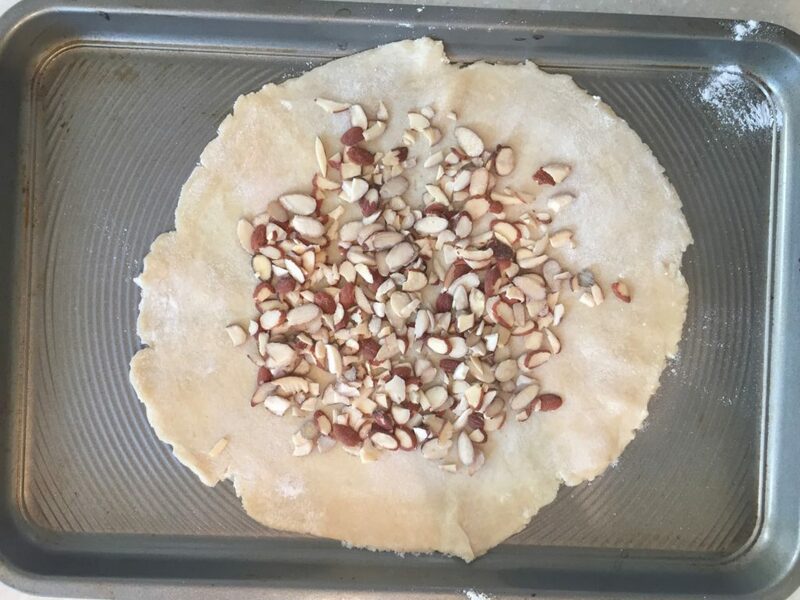 Sprinkle with a few more pistachios on top and dig in. Remove the hard stem ends from the figs, then cut each fig into 8 pieces. Put the figs in a medium, non-reactive saucepan with 1/2 cup port wine, and zest the lemon directly into the saucepan. 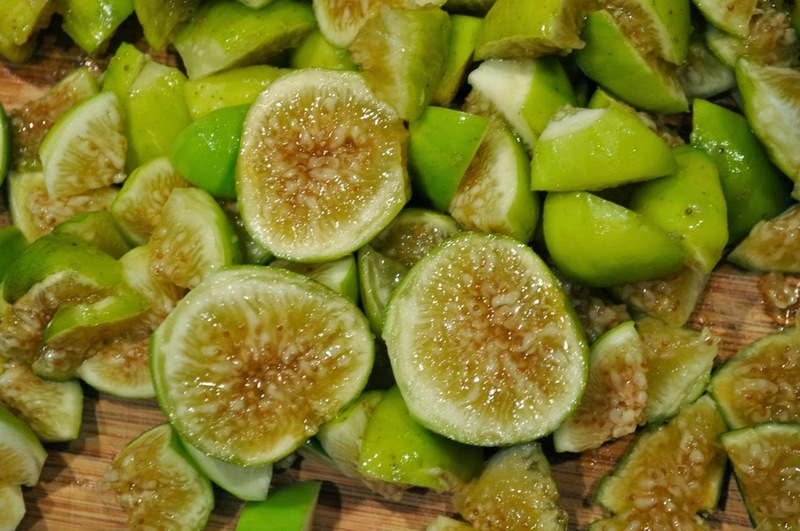 Cover and cook over medium heat, stirring occasionally, for about 8-10 minutes until the figs are tender. 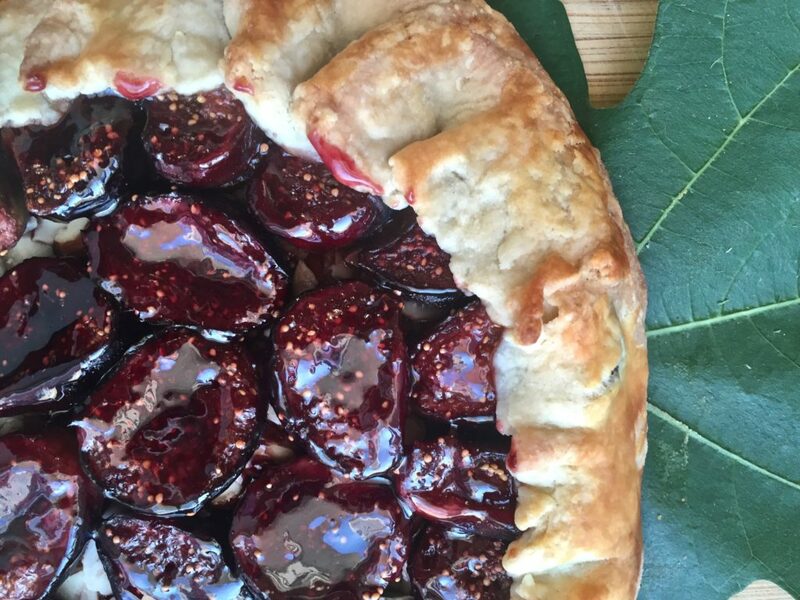 Remove the lid, add the sugar and continue to cook until it reaches a jam-like consistency. Remove from the heat and let cool to room temperature. Blend together with cream, lemon juice, and pistachios, and 3 more T. of port wine. Chill in the fridge and then put in your ice cream maker per the manufacturer’s instructions.